Central Arizona College will host a special Alumni and Friends Celebration on Saturday, Dec. 8 at the Signal Peak Campus (8470 N. Overfield Rd., Coolidge, AZ 85128). The event will begin at 5 p.m. with dinner served in the new Everingham Student Union (I400). 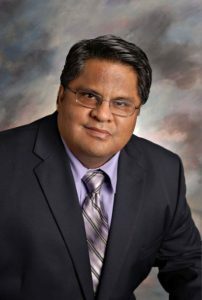 Featured guest speaker, Miguel ‘Mike’ Sauceda, Senior Producer of Arizona PBS Emmy Award winning program Arizona Horizon, a CAC alum and 2011 Wall of Success award recipient will address the audience. After graduating from CAC, Mike began his career in 1984 at KOOL FM radio as a news reporter. He later worked at KOY radio and KTAR, where he worked for 24 years as a news anchor. In 1990, he joined the Arizona Horizon program as a producer/reporter, and has worked there since. He also has taught broadcasting at ASU as an adjunct professor. The Munsick Boys are a group of four men who have been creating the rhythmic sounds of country since the boys could fit their hands around a guitar neck. The group is well known for their Western American style, their harmonic blend of open sky folk, classical country and a pinch of edgy pop, a sound that gravitates to people of all ages. All proceeds raised from the Munsick Boys performance will support CAC’s award winning rodeo teams. Dinner tickets are $25 each or the combined dinner and concert tickets are $40 each. Tickets may be purchased online at www.centralaz.edu/alumni-events.